New 888 Poker Promo Invites Players to "Seize the Crown"
888 Poker´s latest promotion – “Seize the Crown” – is very straightforward in its concept, and potentially very rewarding. All you have to do in order to take part in the promotion is to opt-in via a “Join the Promo” pop-up window in the poker client or via a promotional email. 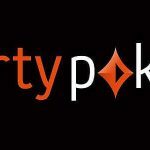 Then, play real money poker games with a minimum stake of $0.02/$0.05 (cash games and SNAP poker) or with a minimum buy-in of $1.00 (tournaments, Sit & Go games, and BLAST Poker games). When you win a hand after being dealt pocket Jacks, pocket Queens, or pocket Kings, you will be awarded a tournament ticket to a “Seize the Crown” freeroll tournament that takes place at 7:30pm (GMT) each evening. 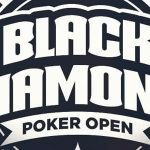 The freeroll tournament has a cash prize pool of $10,000 and, with more than forty days to go until the end of the promotion on Tuesday October 2nd, there is more than $400,000 up for grabs in free poker money for qualifying players. Every player who plays in a “Seize the Crown” freeroll tournament is automatically entered into the Scratchcard Challenge. 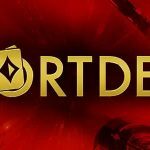 This part of the promotion awards a maximum of two scratchcards per day to players who win a hand after being dealt pocket Jacks, pocket Queens, or pocket Kings in the freeroll tournament. Each scratchcard hides one of six prizes; and although the likelihood is you will scratch off a $1 cash prize, the potential exists for winning $500,000 each time! 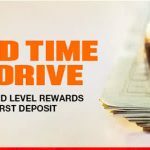 What we like about this promotion compared to some previous ones is that you win cash, not tournament tickets, casino free spins or limited-use sports bets. Furthermore, although the likelihood is the first time you scratch off a scratchcard you will win just $1, the more scratchcards you get, the odds of winning a more valuable prize increase. 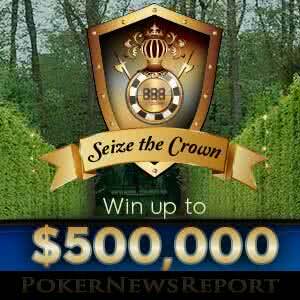 Don´t forget, you will also win more money the longer you survive in the “Seize the Crown” freeroll tournament. Yesterday we wrote about how 888 Poker is – for a limited time only – hosting million dollar BLAST games with a buy-in of just $1. As the minimum requirement to qualify for the “Seize the Crown” freeroll tournament is tournament-style games with a $1 buy-in, it makes sense to play in the special edition BLAST games while waiting to be dealt a royal pocket pair. You could be in with a chance of sharing in a million dollar prize pool as well as qualifying for a promotion in which you could win a further $500,000. The other promotion you can take part in at the same time – if you have not do so already – is 888 Poker´s first deposit bonus. This promotion matches your first deposit up to $600 with an equal amount in bonus funds that you clear as you play games of real money poker. As you have to have made a real money deposit in your account in order to be eligible for either the “Seize the Crown” promotion or the Million Dollar Blast promotion, now would be a good time to fund your account at 888 Poker.